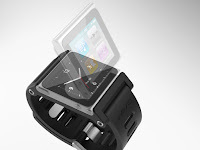 Divineforge.com: Apple Ipod Nano (6th Generation) Watch Kit! : A Multi-Touch Watch! 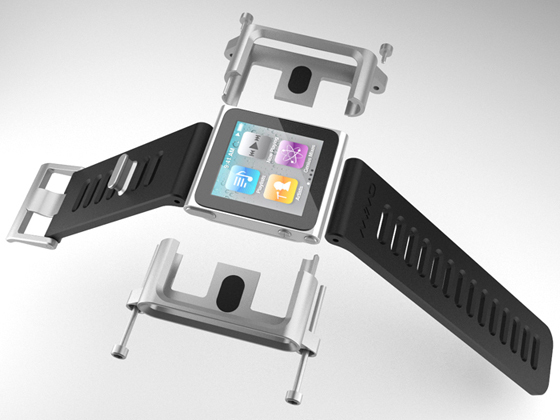 I must say this is a simple but attractive idea of having the iPod Nano to be used as a multi-touch watch. In fact, the size of a 6th Generation iPod Nano proves itself suitable to be a wrist watch item. Anyway, this is what was read in the kickstarter.com. (the largest funding platform for creative idea). Though it was not in the market yet, but based on the its current status, it already received very positive response from the community. There are two types of watch kits introduced by Scott Wilson, the founder of Chicago based studio, "MINIMAL". "TikTok and LunaTik simply transform the iPod Nano into the world's coolest multi-touch watches. The idea to use the Nano as a watch was an obvious one ever since the product was announced..."
Anyway, I'm keen to see when this product to become available in the market of Apple Store. In fact, I like about its design too. !